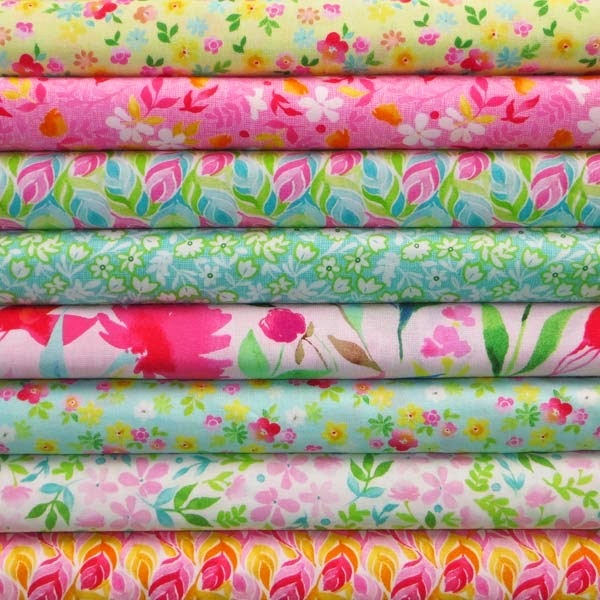 Pelenna Patchworks: New Moda Fleurologie fabric range now in stock! New Moda Fleurologie fabric range now in stock! 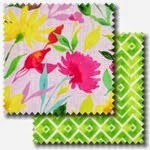 Brand new in we have fabrics from the Moda Fleurologie patchwork fabric range. Designed by Stephanie Ryan for Moda, Fleurologie is a stunning selection of fresh florals and bold geometrics. In bright colours including turquoise, pink, yellow and blue, these watercolour style flower designs really jump, and would bring a touch of summer to any room! Also available in a perfectly coordinated stash pack of 10 inch squares or a discounted fat quarter pack.